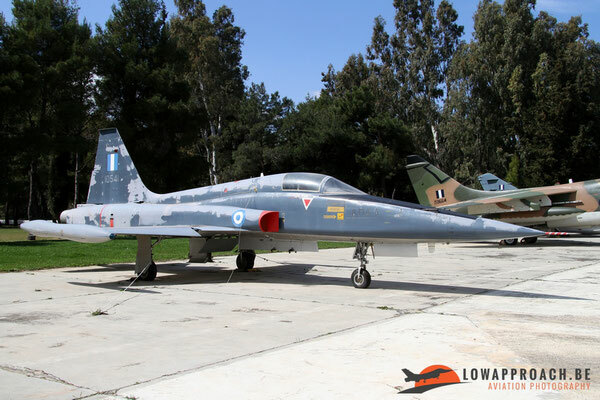 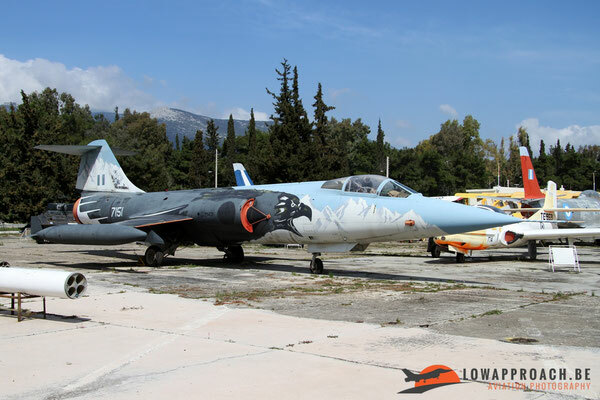 The creation of the Hellenic Air Force museum only started in 1985 when the HAF General Staff tasked an office to start collecting exhibits for a future Aviation Museum. This work continued until 1992 when the HAF Museum was officially established as a regular unit of the Air Force. Over the years the collection was expanded regularly when example of various aircraft types that left active service were allocated for display. 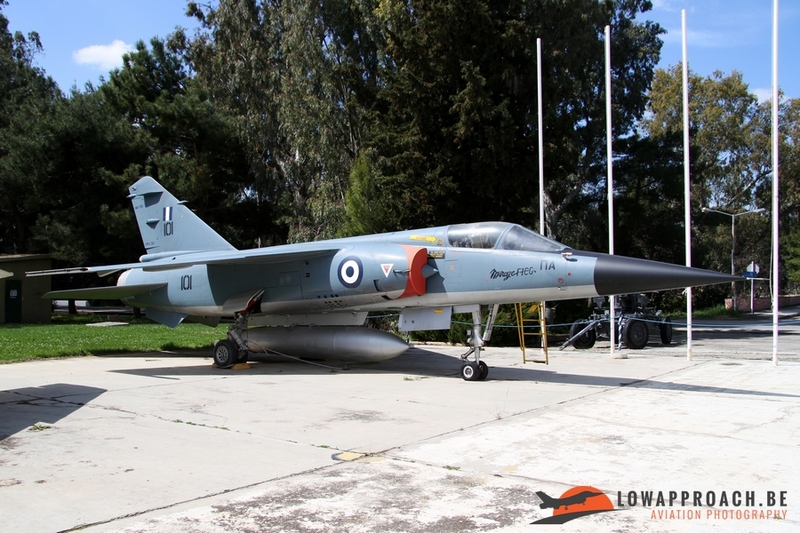 The museum is housed in the 'Leros' hangar at Dekelia Air Force Base, which itself has played a part of Greek aviation history as it as a former wartime Regia Aeronautica hangar which was situated at Leros in the Dodecanese Islands. 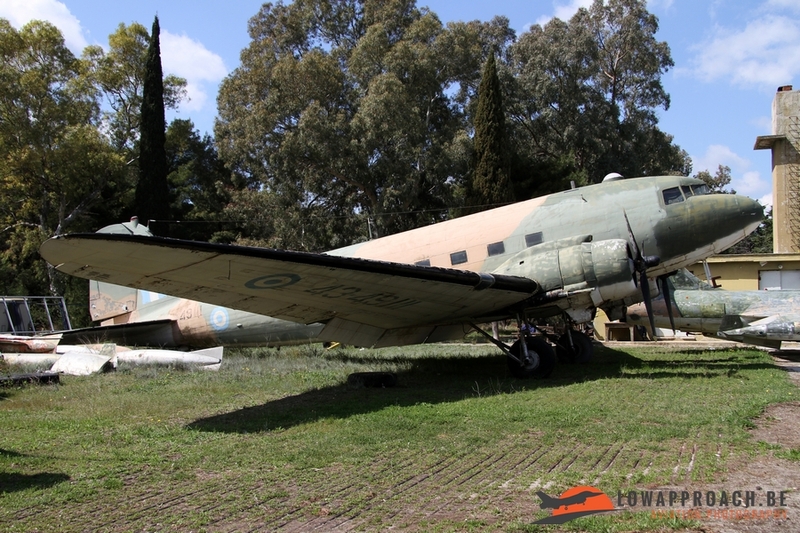 The hangar was dismantled and re-erected in Dekelia by either the Germans (who seized the islands in 1943) or by the Royal Hellenic Air Force after the war. All the aircraft preserved in the museum date from the post-war era. 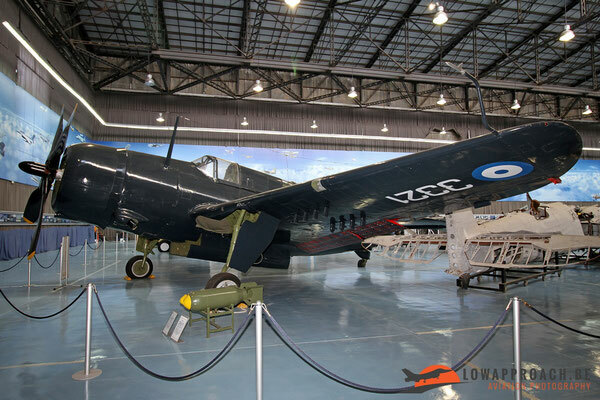 After the liberation of Greece in 1944, the Royal Greek Air Force returned home and played a decisive role in the Greek Civil War which lasted until 1949, re-equipped with Spitfires and Curtiss Helldiver bombers. 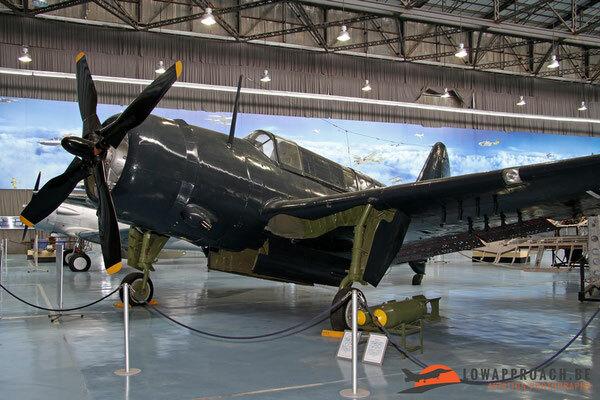 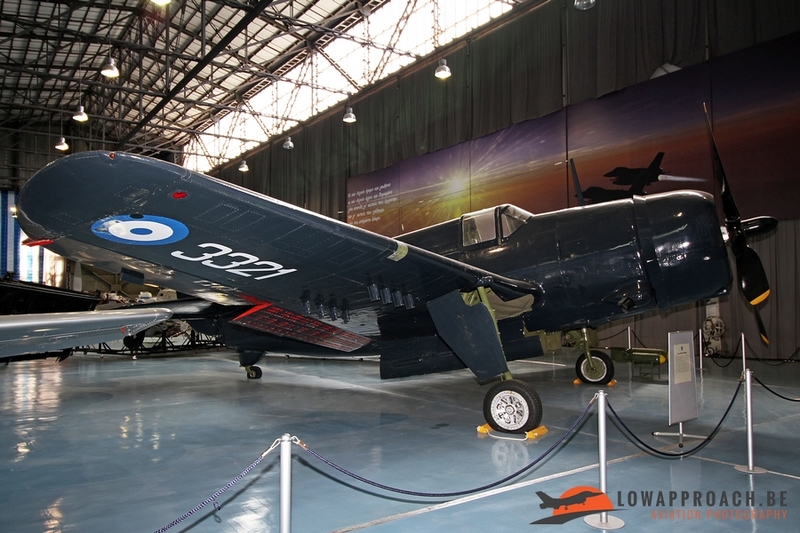 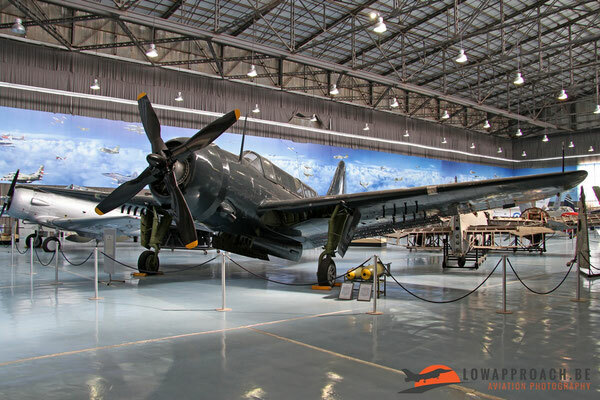 The museum Spitfire is currently in storage awaiting a rebuild to display condition, but one of the star exhibits is a rare Curtiss SB2C-5 Helldiver. 42 surplus US Navy aircraft were delivered in 1949, and the sole survivor is currently on display at Dekelia, to my knowledge this is the only of its kind preserved in a European museum. 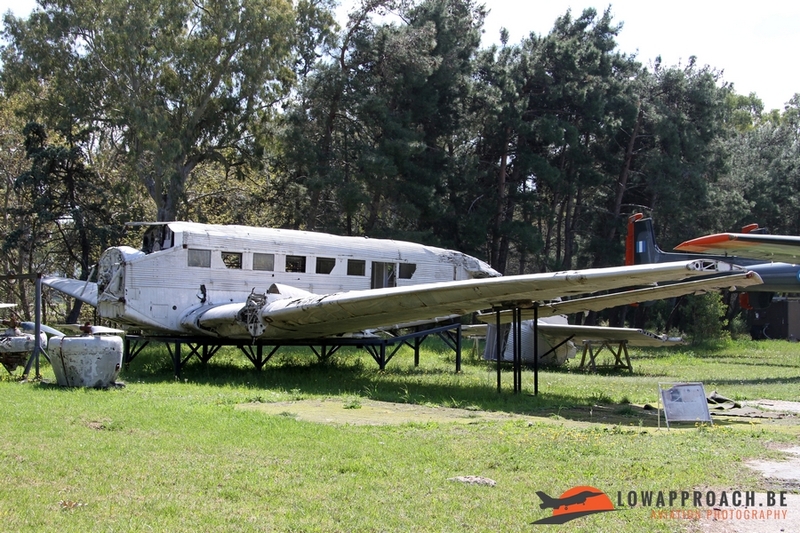 Tiger Moth trainers and Douglas C47B Dakotas transports, additional examples of the C47 were later acquired from the United States as well. 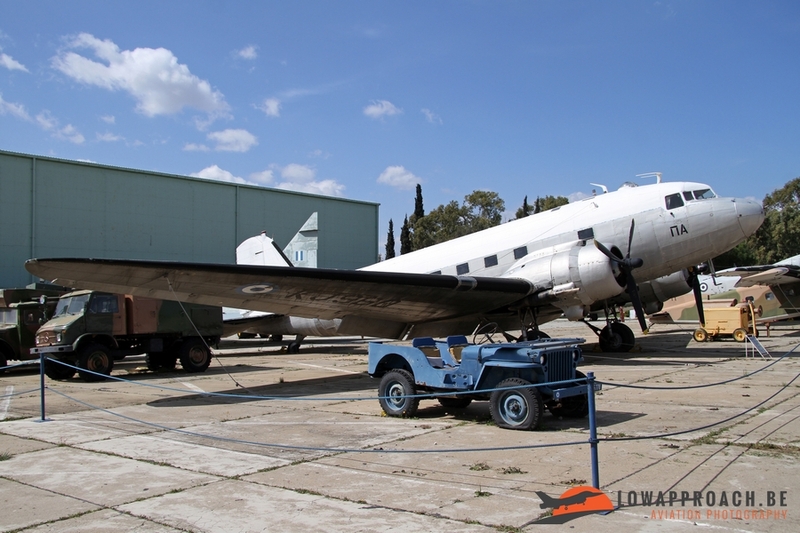 The last Dakotas were taken out of service in 2008 after 61 years service ! The USA also supplied North American T6G Texan advanced trainers. 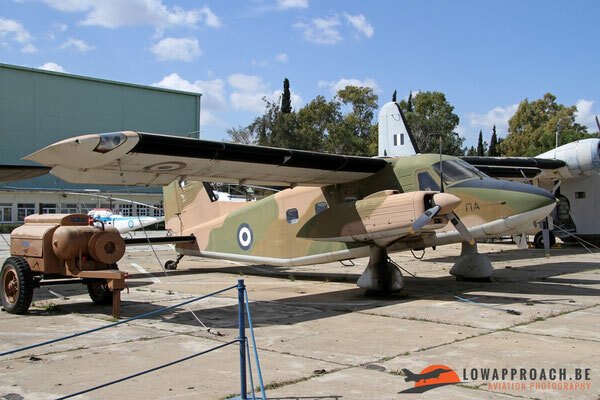 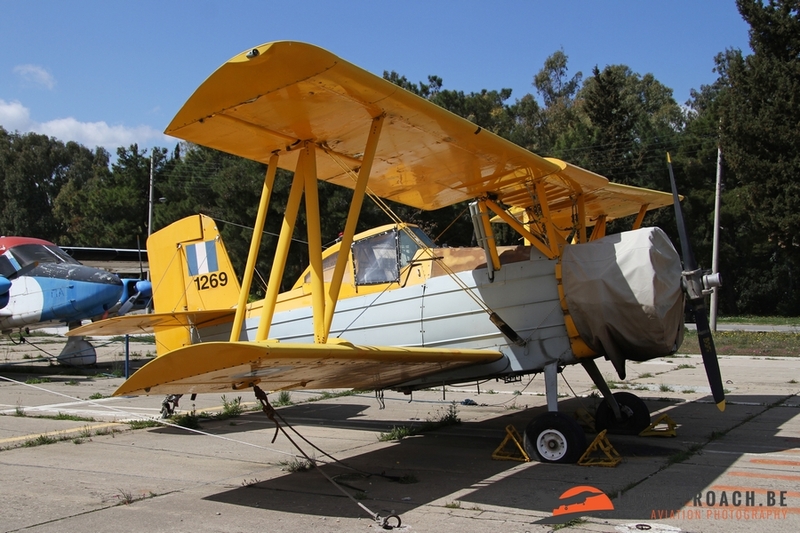 Over the years Greece remained active on the second-hand market and in 1969 acquired 12 Grumman HU16B Albatross seaplanes from Norway. 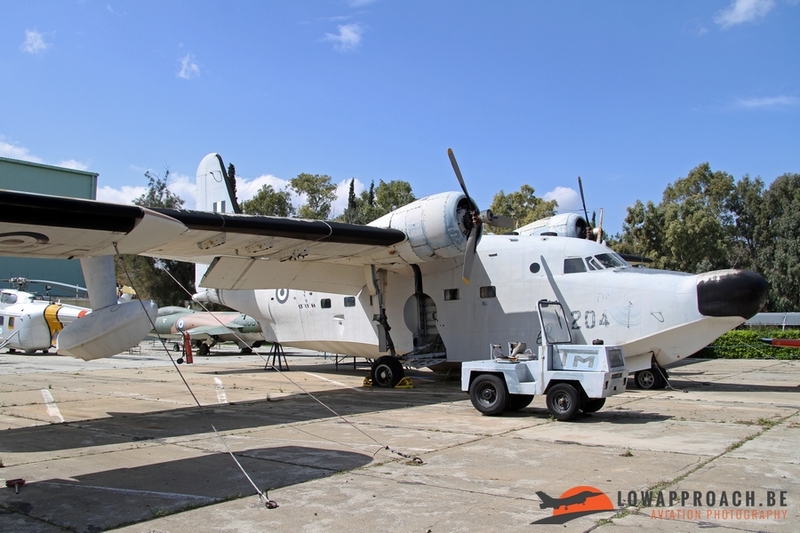 Three examples of the Albatross are currently present at Dekelia, two on display and a third one in the storage area. 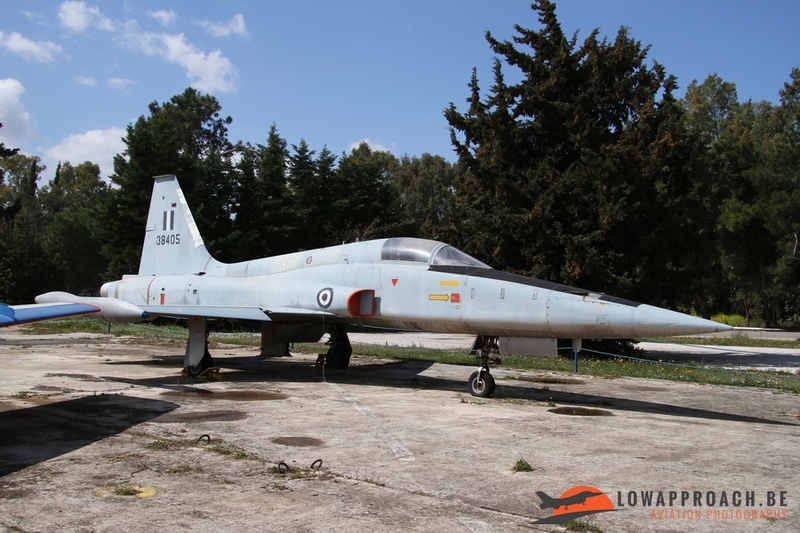 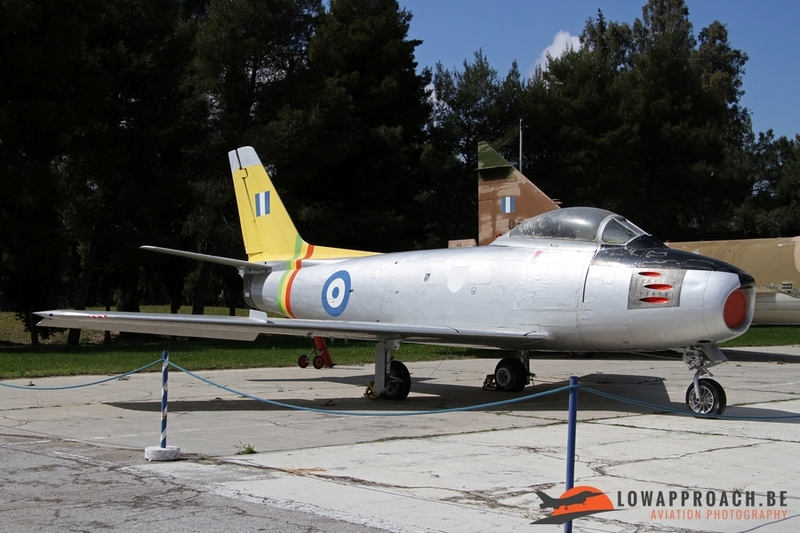 The first jets of the Hellenic Air Force arrived in 1952 in the form of the Republic F84G Thunderjet. The aircraft in the museum is wearing the color scheme of the RHAF Aerobatic Team, 'Aces Four', that was formed soon after the delivery of the aircraft in 1952. 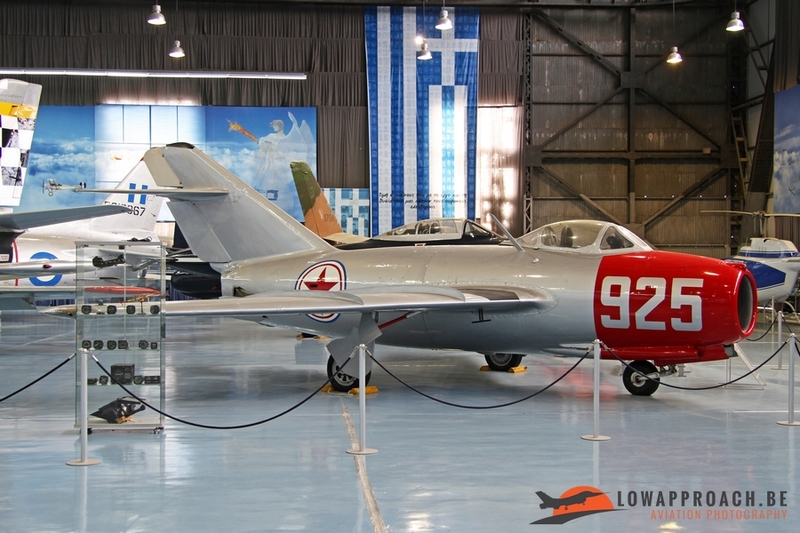 In 1954 the first of 110 Canadair CL13 Mk.4 Sabres were delivered. These aircraft were not new, but were refitted Royal Air Force examples. 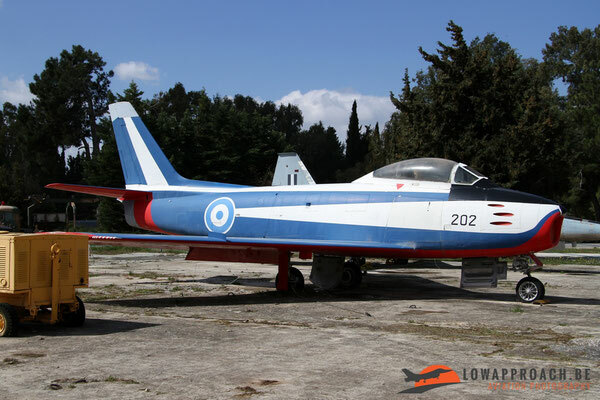 A number of these aircraft were used by yet another aerobatic team, called 'Hellenic Flame', that was created after the disbandment of 'Aces Four'. In total 3 Canadair Sabres are on display. 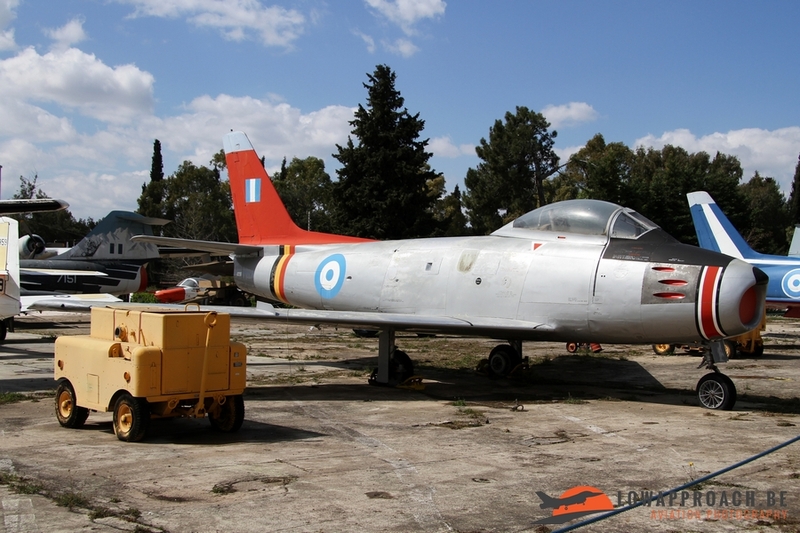 In 1956 a batch of Republic RF84F Thunderflash reconnaissance aircraft wad delivered. 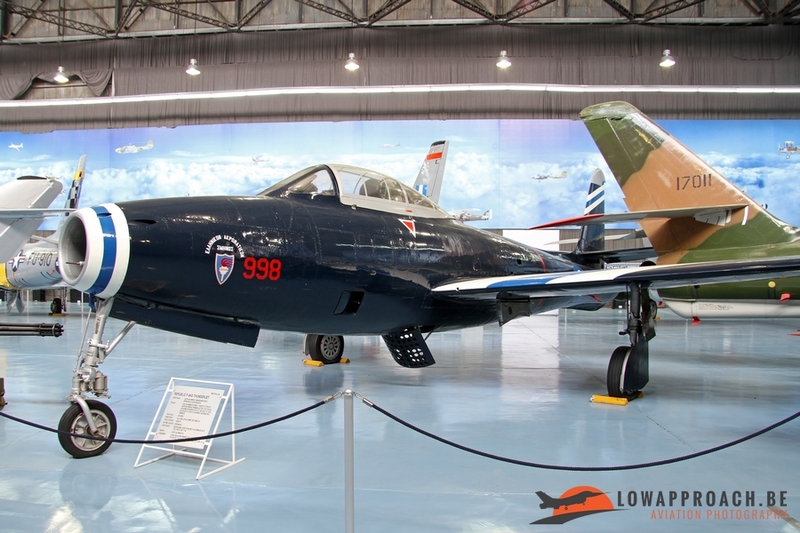 The following year the Republic F84F Thunderstreak joined the Air Force in the Fighter role, this type remained in service until 1983 which made the Greek Air Force the last user of this type. The Air Force continued to expand and in 1961 the first "all-weather" fighter for the Hellenic Air Force, the North American F86D Sabre "Dog", this variant of the Sabre was fitted with an all-weather radar fitted in a fairing on the nose. The introduction of jet aircraft also introduced a change in the pilot training. Virtually simultaneously with the delivery of the Republic F84G Thunderjet the first Lockheed T33A T-Bird jet trainers were delivered in 1951, over the years a total of 154 aircraft were delivered. 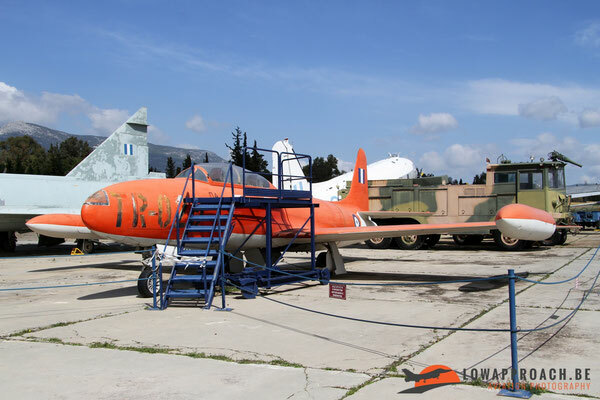 The last T33A's, a batch of orange-painted target towing aircraft, were withdrawn from service as late as 2000, almost 50 years after their arrival. 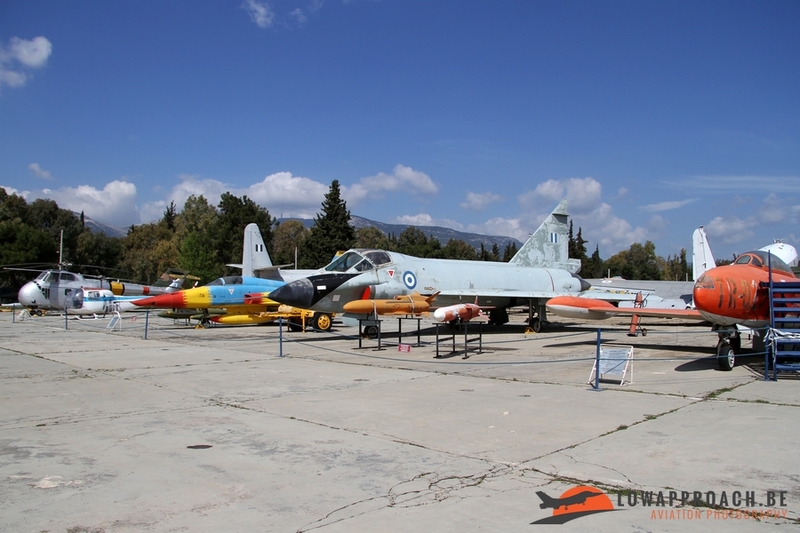 Two T33As are currently on display at Dekelia, but several more are present in the storage area. In 1964 the first of 25 Cessna T37C Tweety Bird were delivered to the Hellenic Air Force for use as basic training aircraft. 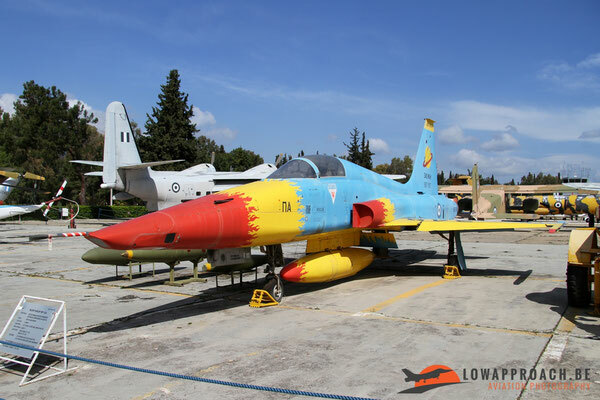 In 1988 10 additional T37Bs were acquired from Royal Jordanian Air Force, both types were decommissioned in 2002. A rather strange aircraft in the collection is a Polish-build MiG15bis painted in the colors of the North Korean Air Force. 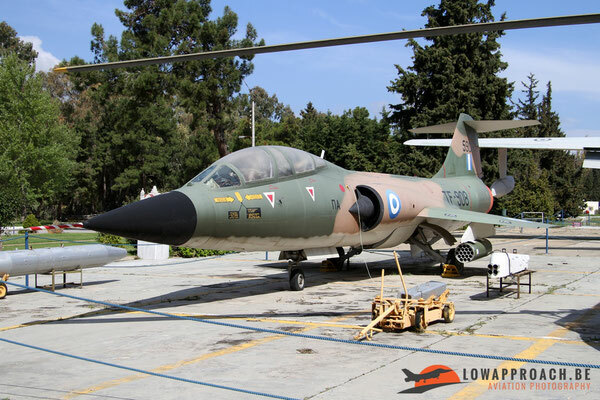 The story of the Greek Lockheed F104G Starfighters starts in 1964 when the first 37 examples were delivered straight from the factory. 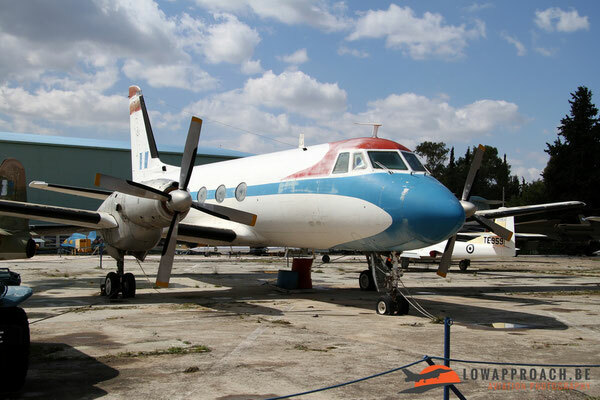 Over the years this number was increased with the acquisition of second-hand examples from Spain (9 examples in 1972), Germany and the Netherlands (60 examples delivered between 1978-1985). 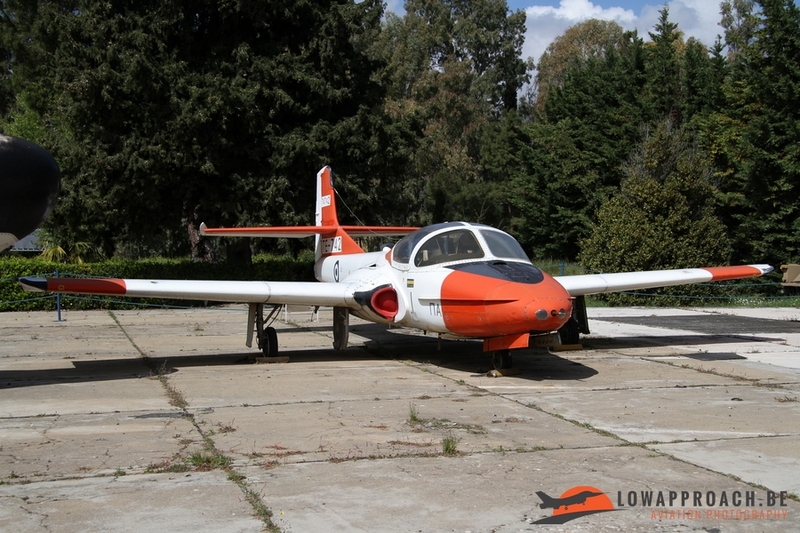 The type was withdrawn from service in 1993. The museum has 3 examples on display at this moment, one TF104G two-seater trainer and two F104G single-seater. Both single-seaters are still wearing the special paint scheme they received at the end of their career. 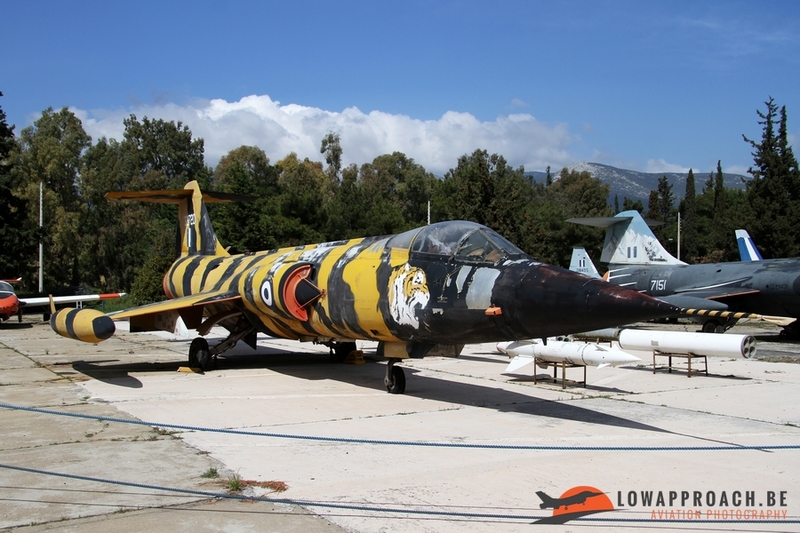 The Tiger-aircraft was formerly in use by 335 Mira 'Tigreis' (Tigers). The second specially decorated example depicts mount Olympus and was last flown by 336 Mira 'Olympus'. 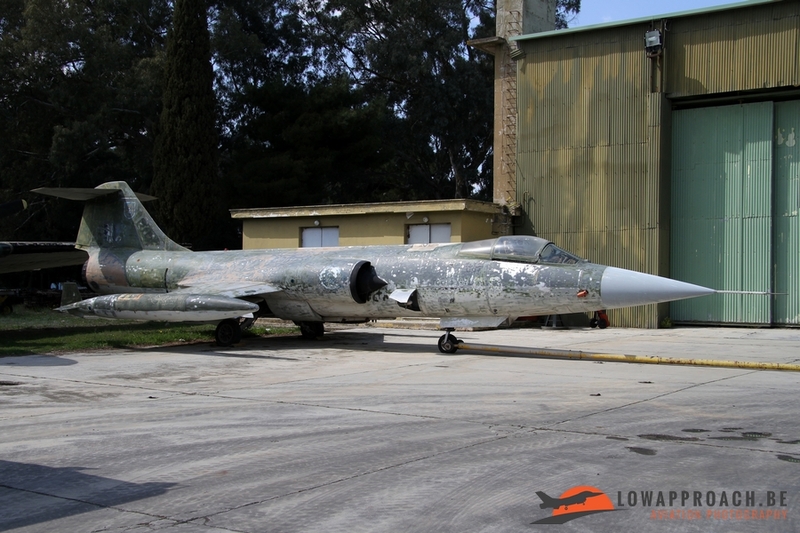 Until recently a third single-seater was on display, but this aircraft is currently undergoing a complete repaint. The aircraft was present in the storage area and underneath the old paint the squadron patch of MFG 2 (Marinefliegergeschwader 2) from the German Navy was still visible on the tail. 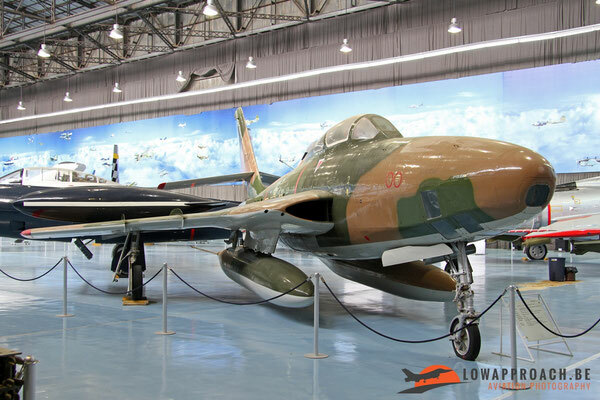 In 1965 deliveries of an initial batch of 55 Northrop F5A/B Freedom Fighters started. 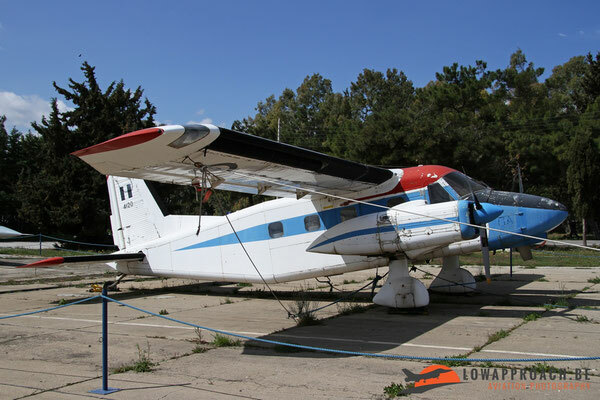 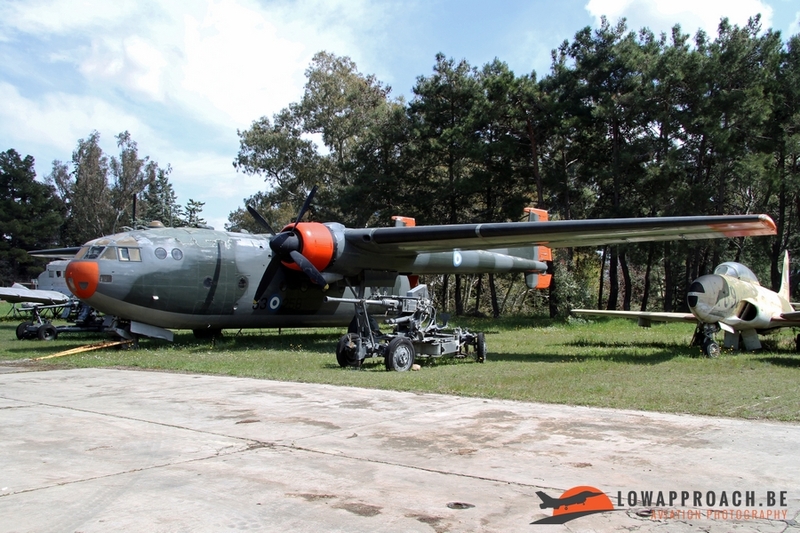 In 1970 a small batch of 17 RF5A reconnaissance aircraft were delivered. Similar to the F104 the fleet of new-build aircraft was augmented by second-hand examples that were from various sources, 10 from Iran, 10 from Jordan, 9 from Norway in 1986 and 10 NF5A/Bs from the Netherlands in 1991. 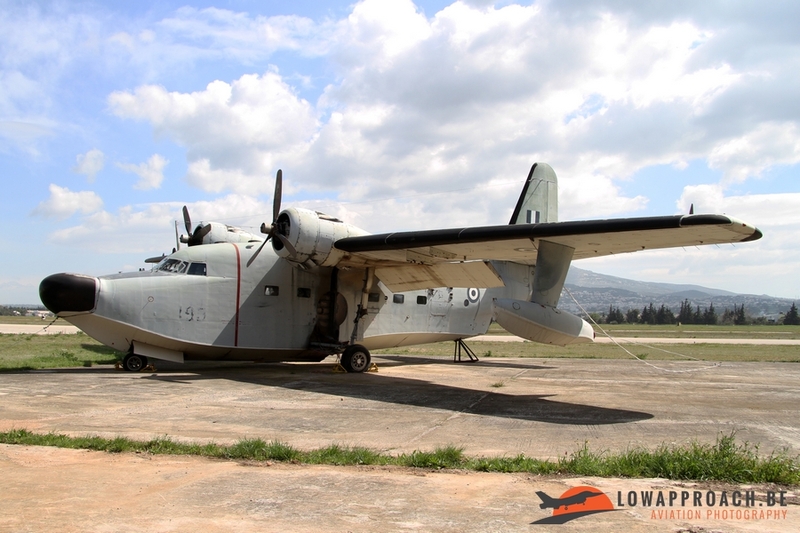 The complete fleet was withdrawn in 2001. 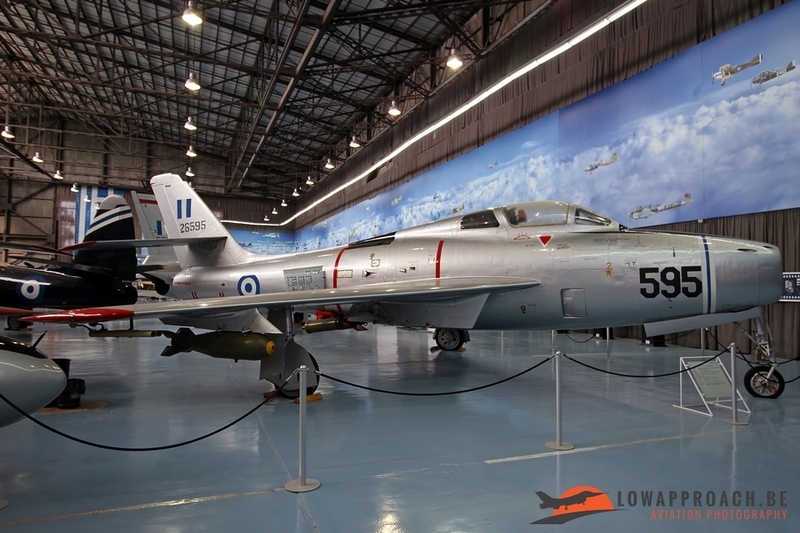 The museum has three examples on display. 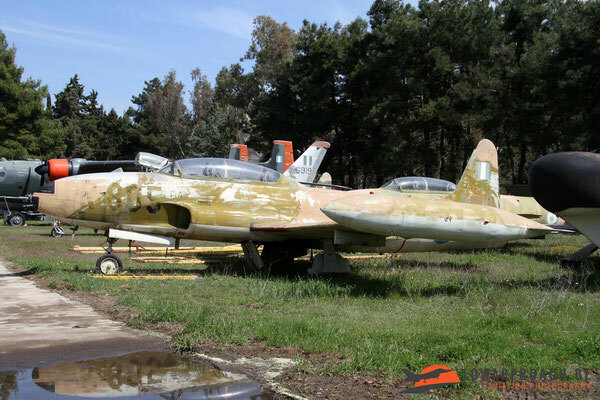 Two F5As and one RF5A, which is still wearing the 349 Mira Anniversary colors applied in 1997. In 1970 the Hellenic Air Force acquired a small of batch of 20 Convair F102A Delta Dagger for use as interceptors. 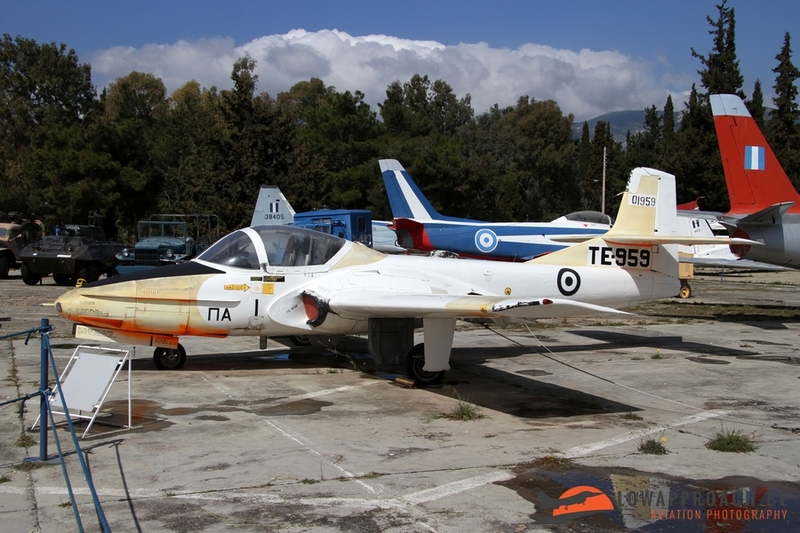 For training purposes 4 TF102A two-seater trainers were bought. 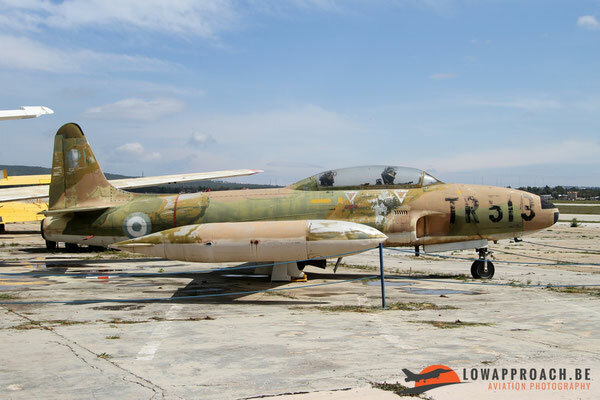 All aircraft were acquired second-hand from United States Air Force stocks and remained in service until 1977. 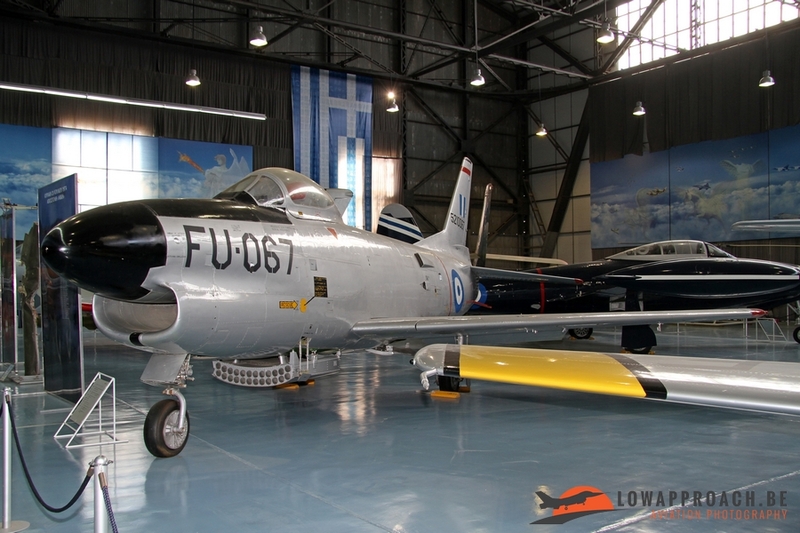 Two of the two-seaters are currently on display. Traditionally the Hellenic Air Force has been a large user of US build fighter aircraft but in 1974 this habit was broken when 40 Dassault Mirage F1CG were acquired in France. These aircraft were used in the 'interceptor' role and remained in service until 2003. The Ling-Temco-Vought A7 Corsair II entered service in 1975. The initial batch consisted of 60 new-build A7H single-seat aircraft, later supplemented with 5 two-seater. In 1993 43 A7E and 19 TA7Cs were delivered from US Navy surplus stocks. 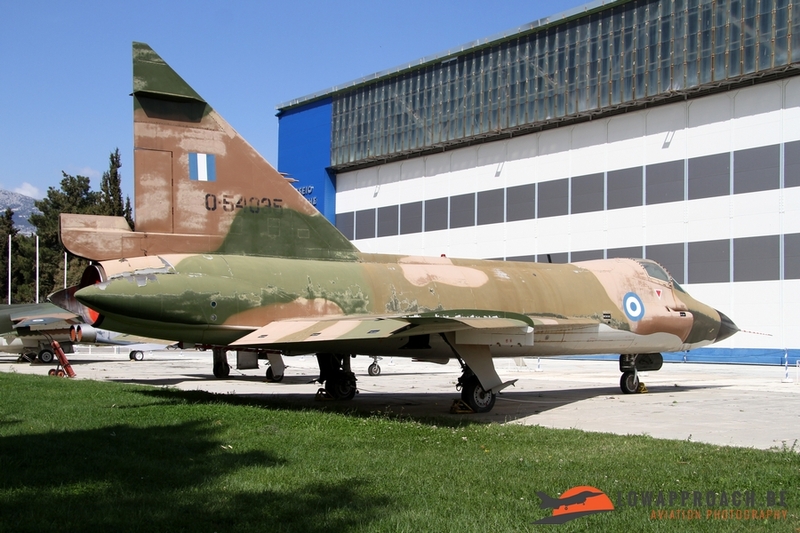 At this moment one A7E is on display in the museum, which recently received a complete repaint. 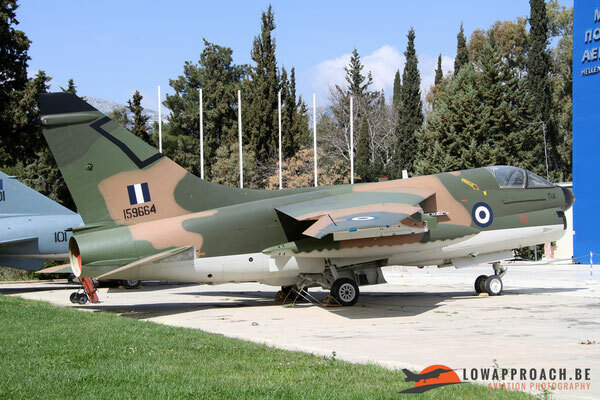 As the type was withdrawn from service as recently as 2014, plans are to transfer additional aircraft to Dekelia, two of them being the Tiger A7E from 335 Mira and the 'Buccaneer' A7E from 336 Mira. 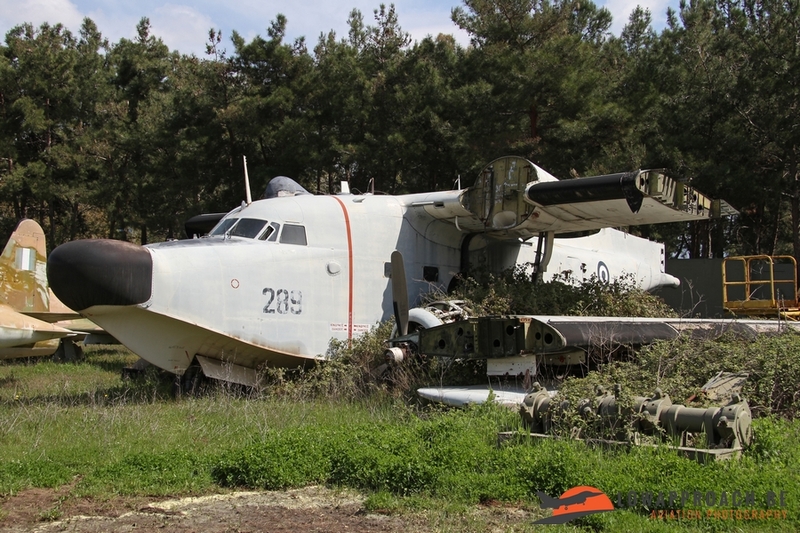 fire-fighting duties until 2011, when it was retired. 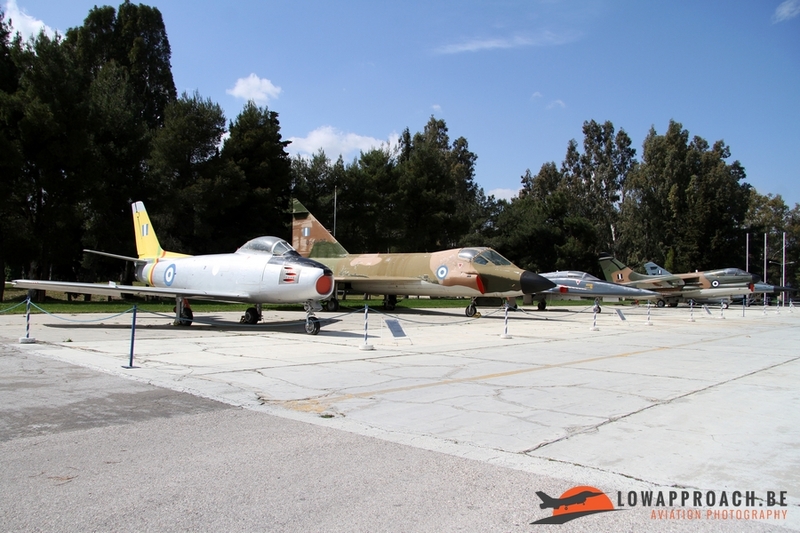 At this moment no less than 10 aircraft are present at Dekelia, where they are stored next to the museum platform. 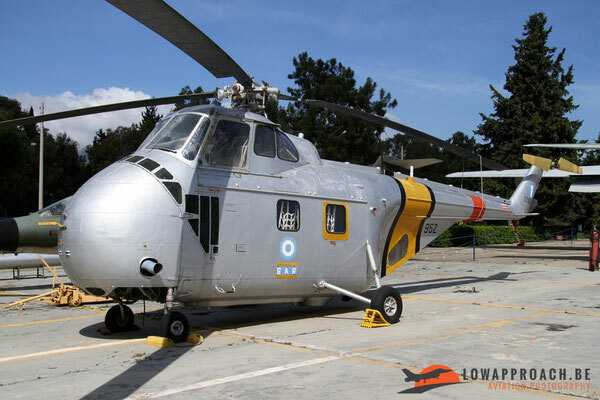 The first helicopter type that entered service with the Hellenic Air Force was the Sikorsky UH19D Chickasaw acquired in 1958. 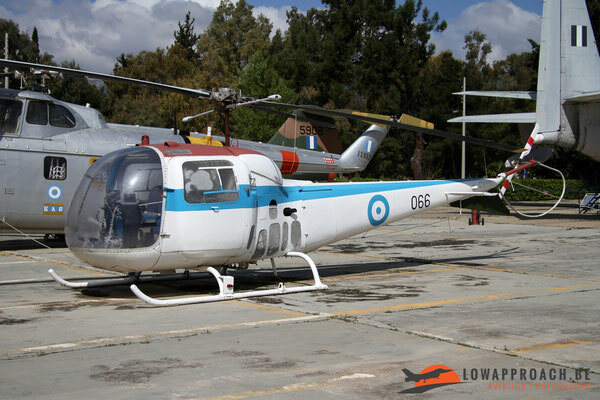 12 examples were used in the Search and Rescue role until their withdrawal in 1971. 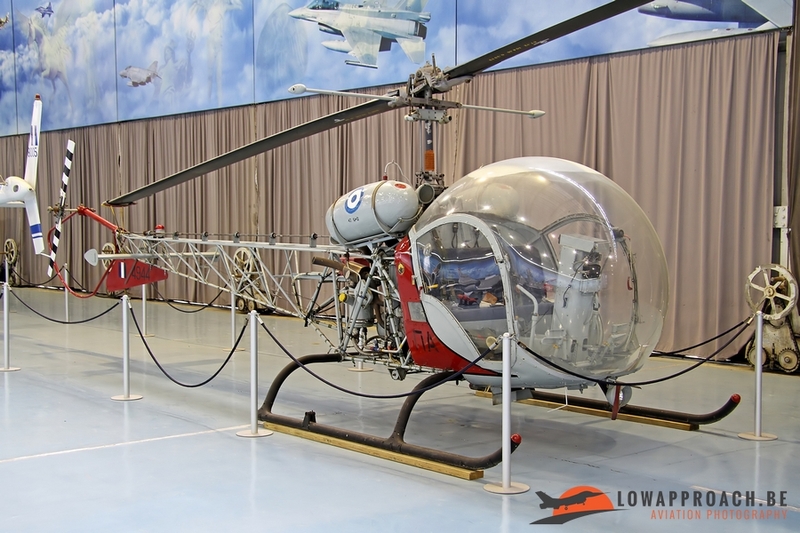 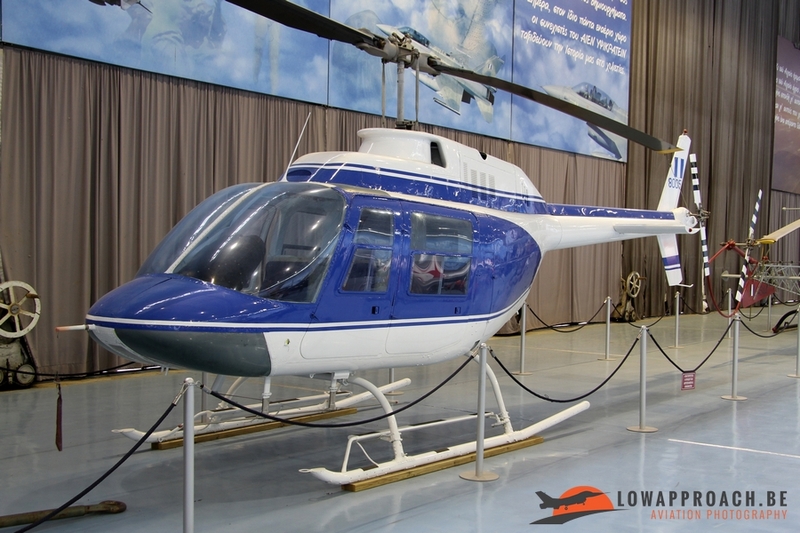 Since 1963 several variants of the Agusta-Bell AB47 entered service with the Air Force, one of them was the Bell OH13H with dual controls which used in the training role. 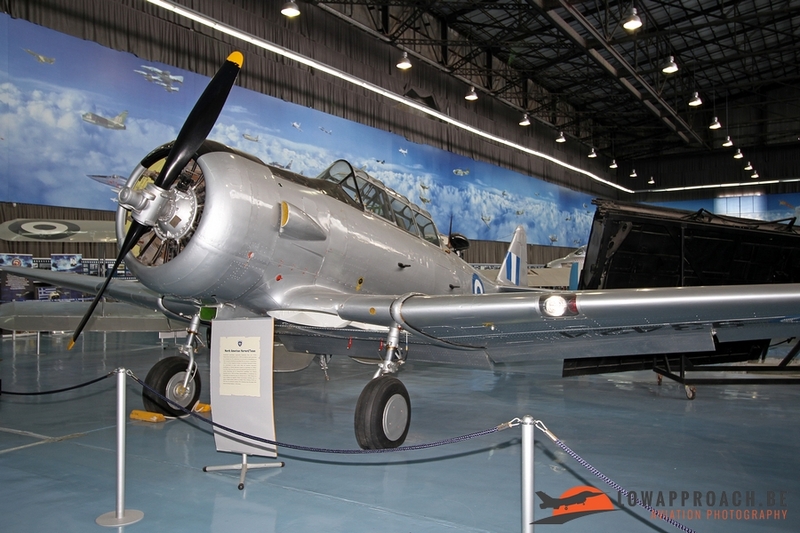 The main mission of the AB47 was crop dusting until its withdrawal in the late 90s. Another unique type is the sole Agusta-Bell AB47J Ranger that was acquired for use by the King in 1964. 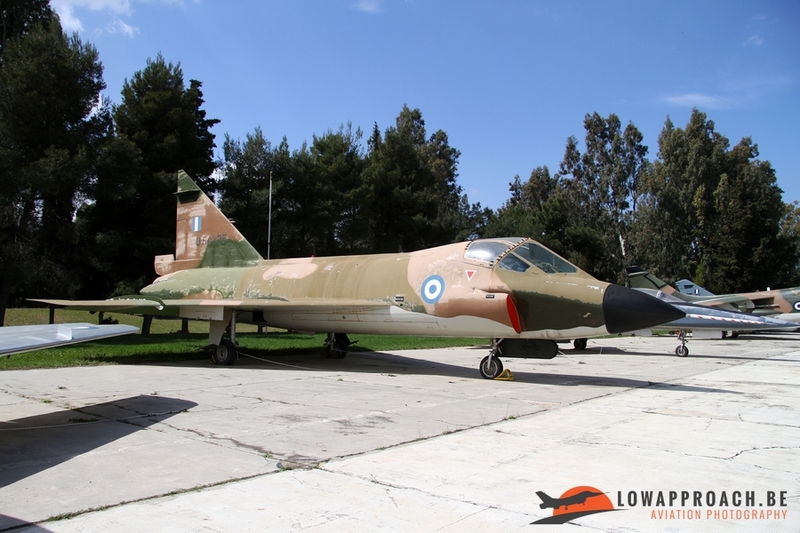 It stayed operational until 1985, when it was transferred to the museum, this being one of its first aircraft. 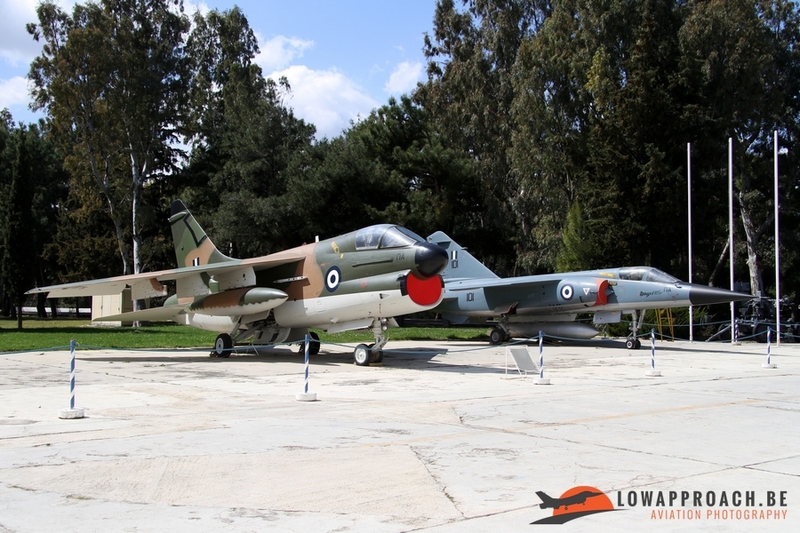 During World War II Greece was occupied by Germany. Many downed aircraft found a resting place in the seas around the Greek Islands. 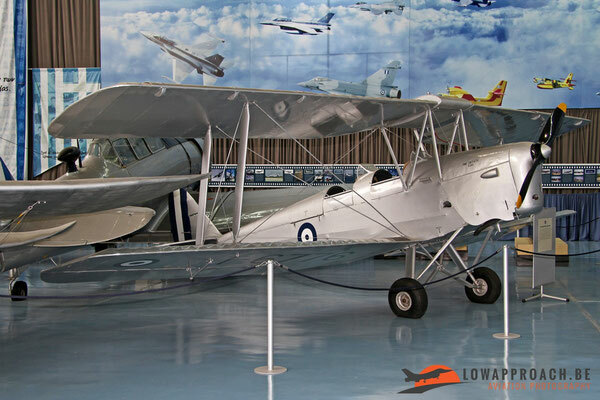 Over the years a few of them have been recovered and are now on display in the museum. 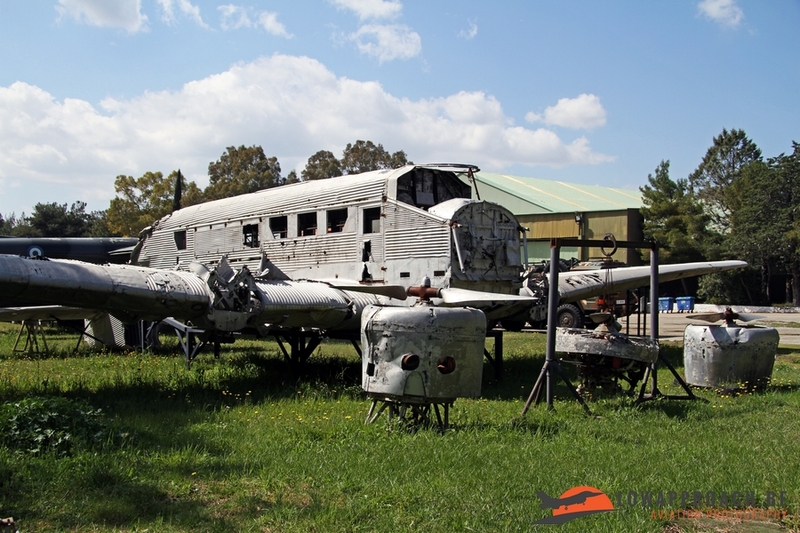 Aircraft that I noted were a Royal Air Force Bristol Blenheim that was shot down in 1941 by British (!) 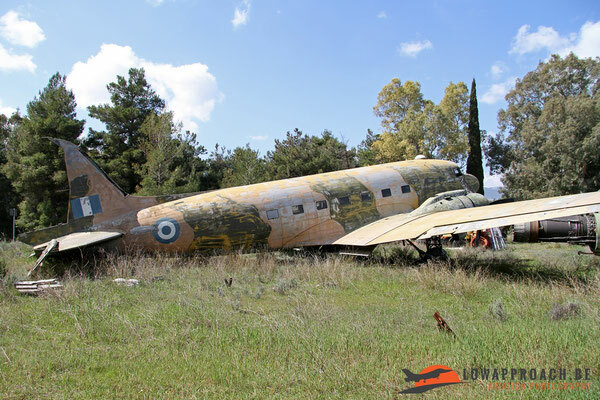 destroyers near Crete... a clear victim of friendly fire. The second aircraft is a Junkers Ju52/3m from the German Luftwaffe which was recovered in 2003 near the island of Leros. 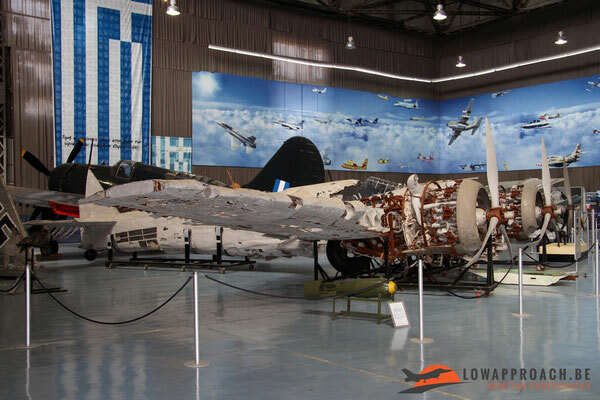 It had been shot down in September 1943. The bullet holes are still clearly visible in the fuselage. 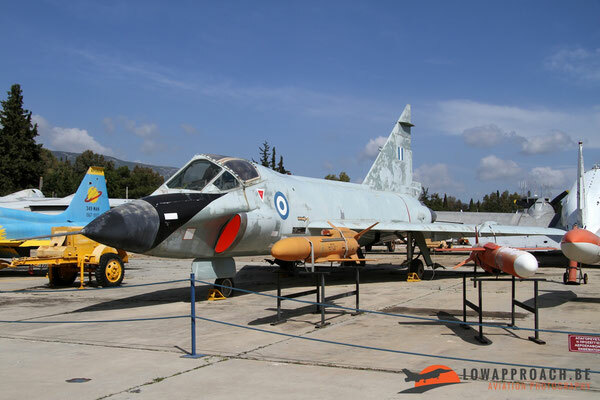 The Hellenic Air Force Museums is one of lesser known in Europe, mainly as until recently it was required to have advance approval to visit it. 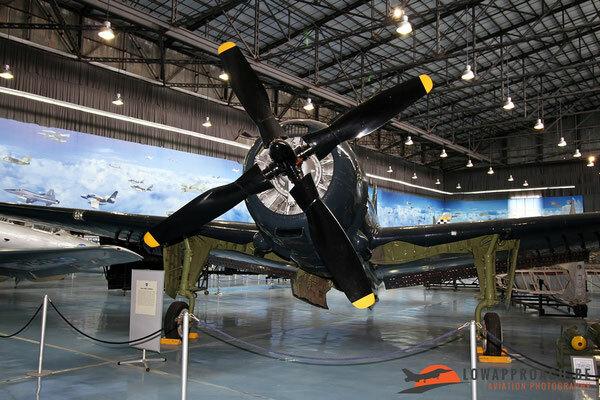 A few years ago this policy was changed and now everybody can visit it during the weekend. Dekelia-Tatoi is located north of the Greek capital Athens. 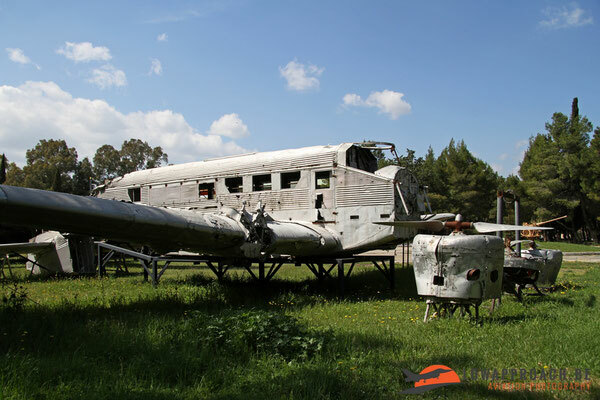 The distance from the Athens city centre is about 30 kilometers, which on a Saturday morning can be done in about 25 minutes. The entrance process is quite easy, report to the gate and you will be issued with a visitors pass and a few minutes later you will be picked up by a van, as it is not allowed to take your car on base. 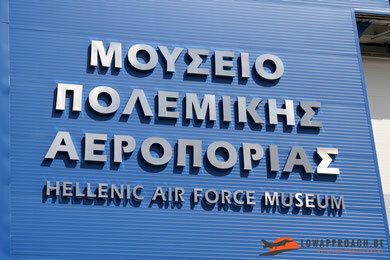 Language is not a problem as the people at the gate and the museum staff speak English. 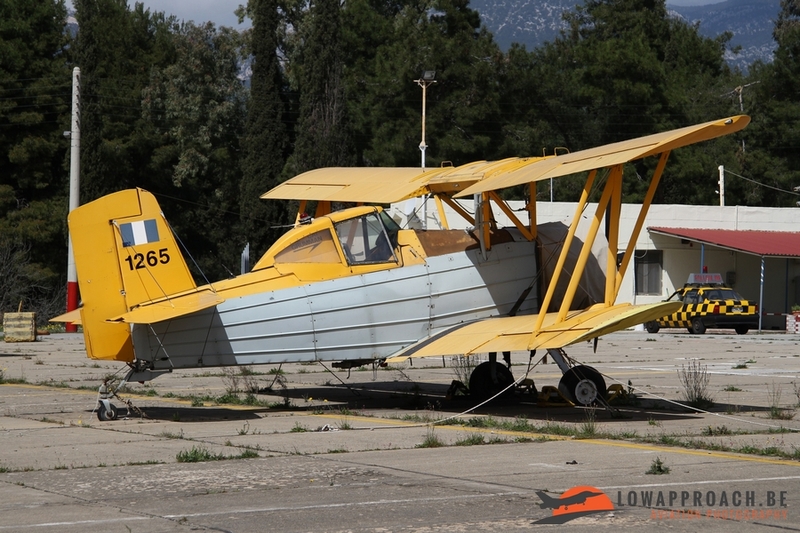 Parking opposite the gate area is not a problem. When you are in the area you surely should pay a visit.The collection has quite a number of unique aircraft and I really hope this report convinces some of you to go there. 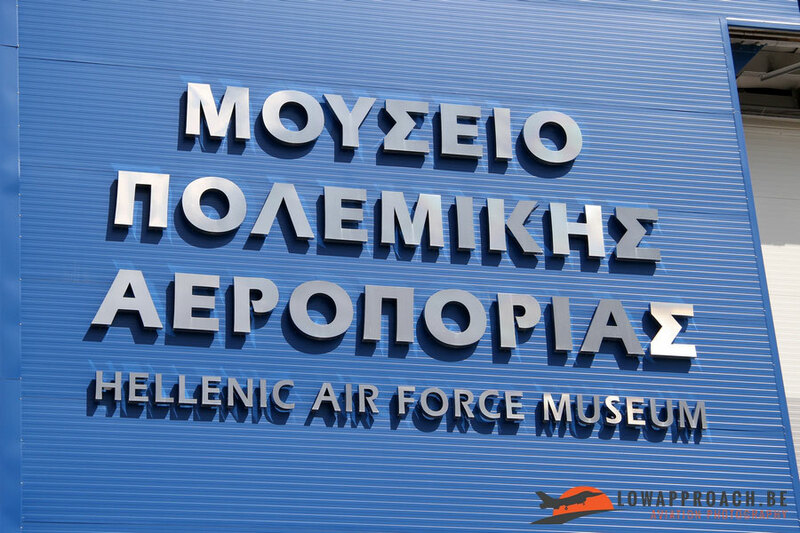 To finish I want to thank my colleagues for their assistance in arranging this visit and the museum Staff for their kind reception during my stay !